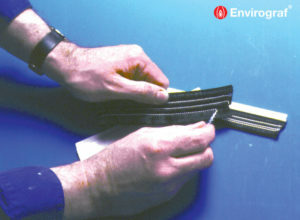 A PVC sealing strip that is applied to the bottom edge of doors, available in a range of colours. 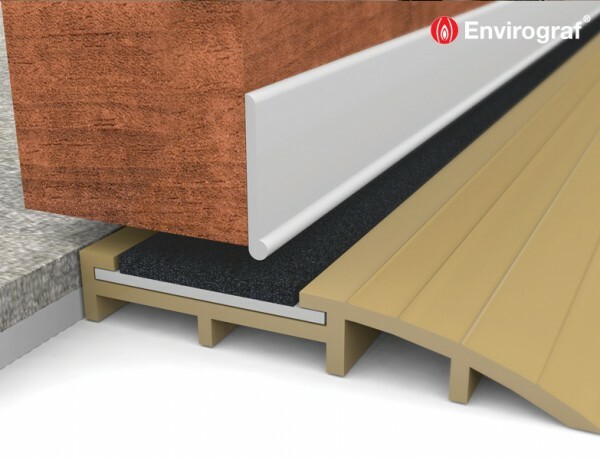 Ideally used in conjunction with Envirograf® threshold seal products to provide full acoustic, draught and weather sealing. 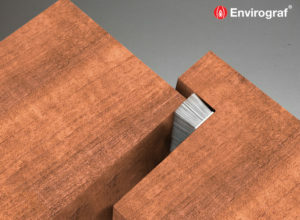 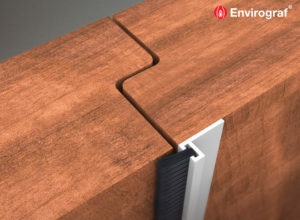 Envirograf® weather bar seals are either screwed to the bottom of the interior and exterior faces of the door or just the interior if Product 120 has been fitted to the exterior, in such a position as to minimise the gap between the bottom of the door and the threshold sealing strip. 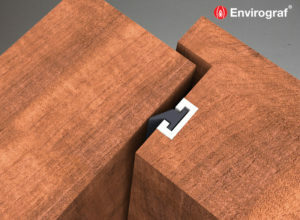 Offers effective weather and draught protection when used in conjunction with Product 106 or 107.